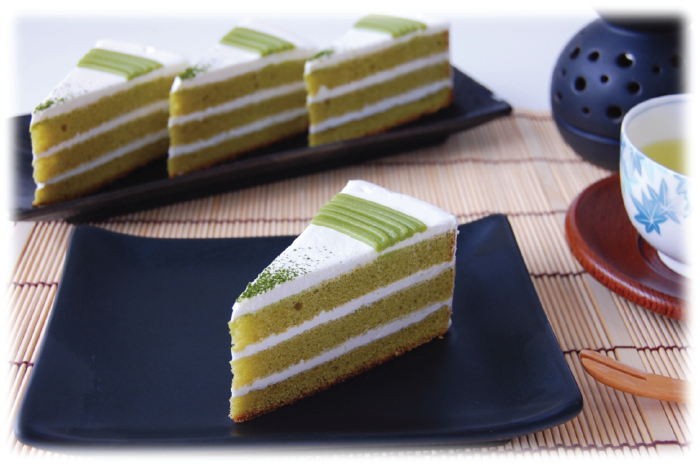 The finest matcha, uji from Kyoto, is lavishly integrated into the sponge to give a rich earthy green tea flavor to this shortcake. The natural bitterness of the matcha is thoughtfully balanced with layers of lightly-sweetened whipped cream making this dessert a pure decadence for matcha lovers. Pre-sliced into 12 pieces per box for convenience.